Now if I talk about kids, they’re fussy eater most of the times! Including healthy elements in their meals some or the other way is a must thing to do for mums… But as far as I know, they love potatoes in any form (I loved it as a kid)! Then why not to add some leafy greens along with a touch of potatoes to make parathas full of fiber, yet kids-friendly??!!! Mix whole wheat flour with salt and curd in a big mixing bowl and knead a soft dough by adding water as required. Cover with a cling wrap or lid and let it rest for 10-15 mins. Mash the potatoes in another bowl and add all other ingredients of stuffing in it. Divide the dough as well as stuffing in 8 equal balls. Roll out a dough-ball of puri-size and put one stuffing-ball in center. 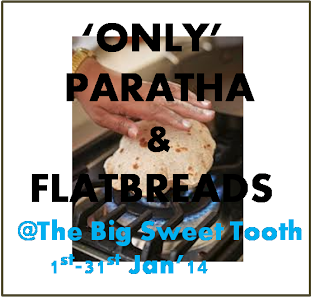 Cover from all sides like we do for kachori and flatten it a little. Roast it on flat griddle using ghee (clarified butter) on both the sides, until you find golden brown spots on it. Serve your kids with a bowl of yogurt! Try keeping spices to minimum if you’re cooking specially for your kids! Eliminate using amchoor if kids don’t prefer tangy taste. Tulsi is such a cute name! They look lovely!!! Is than an alternative I could use for the curd? 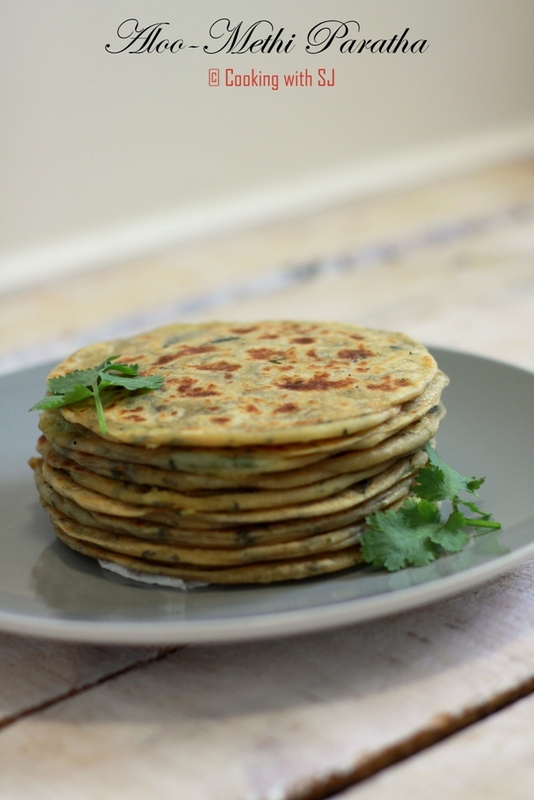 Alu paratha are my favourite . I haven’t used yogurt for binding the dough. This must make them lovely and soft . . I will add methi to it next time . 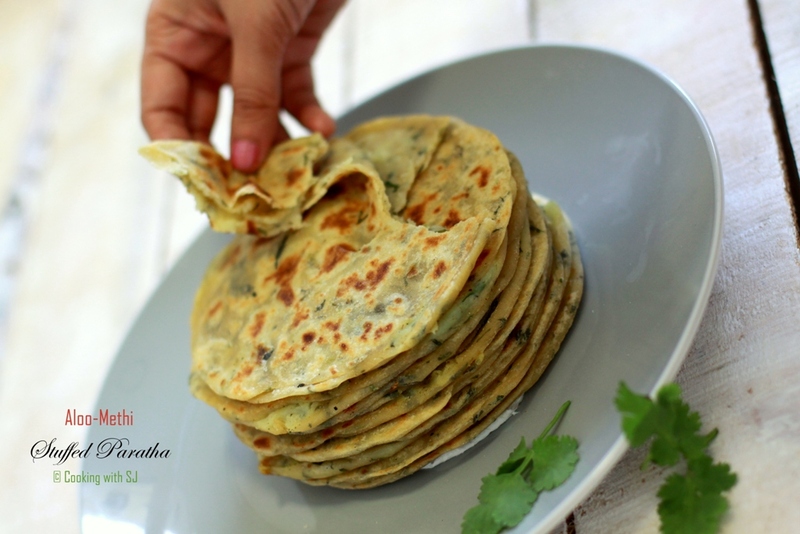 Yogurt works great, MeenaJi :) I recently started using it for all stuffed parathas!! !